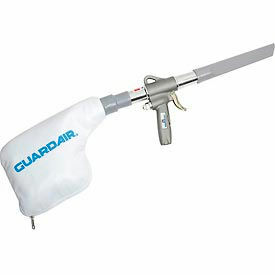 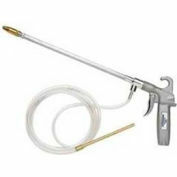 Guardair 76S018, Booster Air Gun W/ 18" Ext. 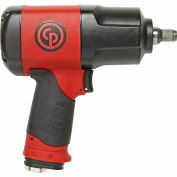 Place twice the power of a standard shop vacuum in the palm of your hand. 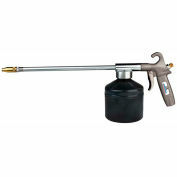 Powered by standard shop compressed air, the lightweight 1500 Gun Vac has no electric motors to burn out. 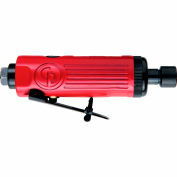 Easy to empty, high filtration collection bag attaches to rear of vacuum via hose cuff. 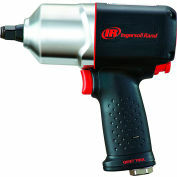 Tapered vacuum inlet accepts all standard 1-1/4" vac accessories. 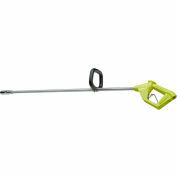 Unit hangs on a hook, ready for use at anytime.